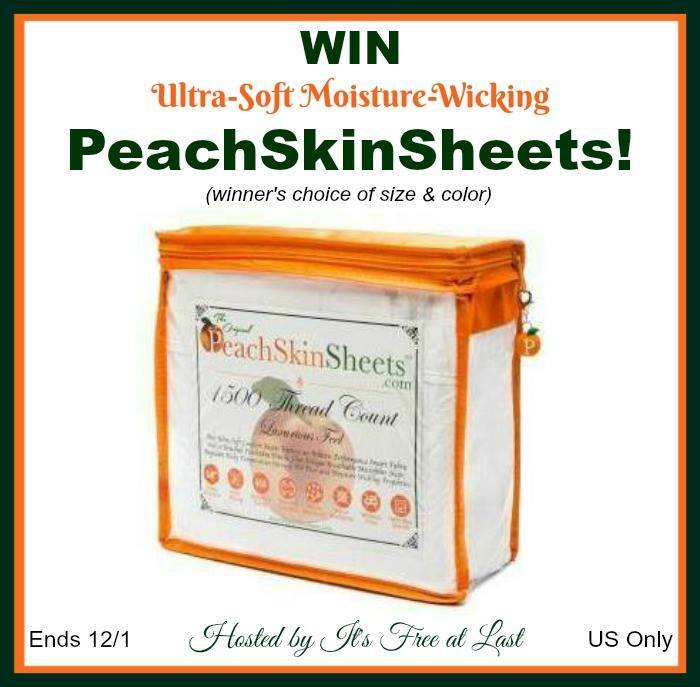 We have one giveaway for PeachSkinSheets that ends on 11/30. This one ends on 12/1. Both are US only. 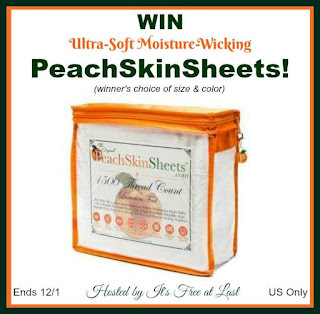 If you want to win sheets that feel like peach skins... Good luck. Their affordable bed sheets are made from a breathable, high performance athletic grade SMART fabric that is great for hot sleepers due to its thermal control and moisture wicking properties. In addition, the ultra soft brushed finish provides a softness level that parallels 1500 thread count cotton but without the shrinkage, wrinkles and pilling. They thrive on being a quality company with a quality product and going the extra mile for their customers. 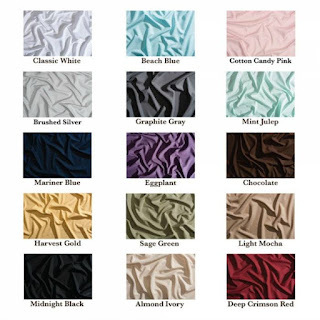 These super soft moisture-wicking sheets come in a variety of colors! Which one would you choose? Be sure and read what Kristin at It's Free at Last thought her PeachSkinSheets in her full review HERE! PeachSkinSheets in their choice of size and color! Giveaway ends 12/1/16 at 11:59 pm ET! Open to US residents 18+ and older. Navy Blue... Still, preference of color as it would bring that of the honor of those within my family that served in the Armed Forces. Persons throughout here's a big hope that you all have a wonderful and safe holiday! I would go with the mariner blue color. I would like sage green. I would like Brushed Silver please. kristiedonelson(at)gmail(dot)com Thank you. I'd choose midnight black or graphite gray.